With over 40 years of experience, TERRAFIRMA, Inc. has created, constructed, and maintained thousands of high-quality residential and commercial landscapes. Additional contract services now include basement waterproofing and drainage, as well as residential home remodeling. 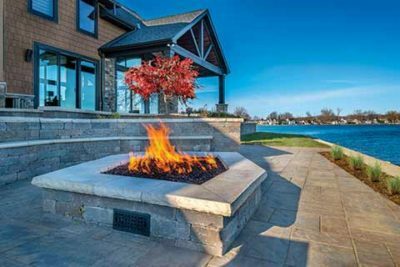 Our skills and technical expertise provide products of exceptional value and sustainability with a complete range of services available throughout Southeastern Michigan. TERRAFIRMA provides full-service residential and commercial landscape design, installation and maintenance services. Our wide range of specialty services are designed to meet all of your landscaping needs with one, integrated team. As licensed builders since 1983, we offer complete remodeling services for homes and businesses. We start with your ideas and offer architectural design and construction services to successfully manage your project from inception through completion. As a leader in waterproofing and drainage we offer comprehensive on-site evaluations to determine how we can best eliminate water infiltration and correct drainage issues caused by either poor grading or significant roof runoff. If you have an idea for a landscape or remodeling project, but are not sure where to start – give us a call. We have qualified and experienced designers that can help you layout your dream space. You can get some inspiration by viewing our featured projects and extensive photo gallery. TERRAFIRMA with its team of skilled personnel are committed to providing services and products to our clientele that both exceed their expectations and ensure long-term value and sustainability.